BrahMos missile was launched from a mobile launcher in the Pokhran polygon in Indian state of Rajasthan, according to BrahMos Aerospace Limited. 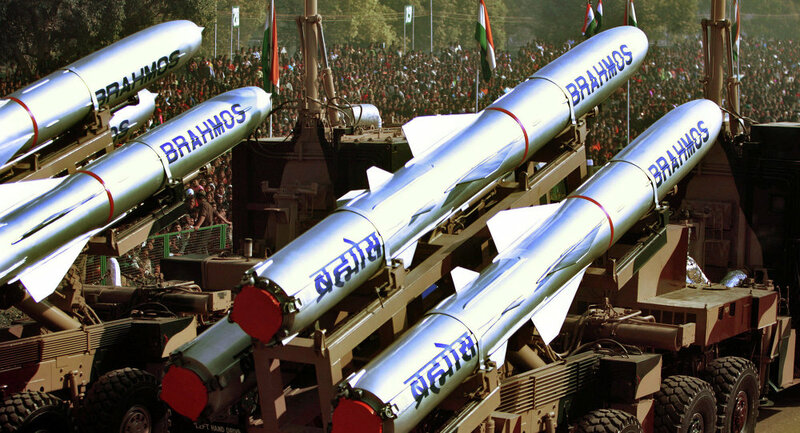 The Indian Army has successfully tested a BrahMos missile on ground targets, BrahMos Aerospace Limited said Saturday. The missile was launched from a mobile launcher in the Pokhran polygon in Indian state of Rajasthan at 10:00 a.m. (04:30 GMT), and successfully hit the target.The missile is produced by an India-Russia joint company BrahMos Aerospace, named after the rivers Brahmaputra and Moskva. BrahMos is a short-range supersonic missile, which has been in use by the Indian Navy since 2005. The missile has a range of 180 miles and can carry a conventional warhead of up to 660 pounds. 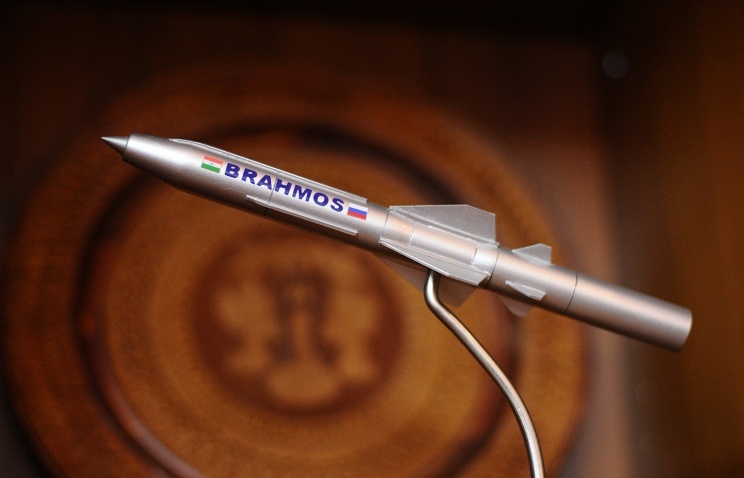 Speaking at an ongoing Defense & Security military expo in Bangkok, a spokesman for BrahMos Aerospace, a Russian-Indian joint military venture, told RIA Novosti that formal negotiations have not begun. “Southeast Asia is a promising market for us. During this exhibition, we have been visited by several high-ranking defense ministry officials from Thailand, Malaysia, Indonesia, Vietnam, and the Philippines. We have had no official talks yet, but there is a high probability that they will become our clients in the future,” the spokesman said. 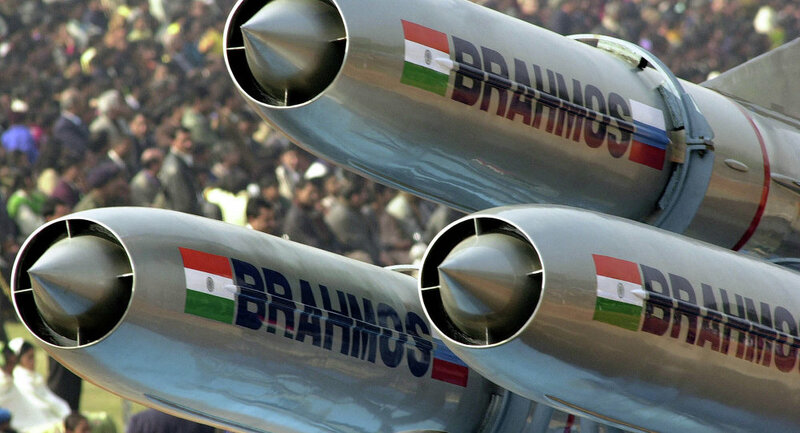 BrahMos Aerospace was formed by India’s Defense Research and Development Organization and Russia’s NPO Mashinostroyenia. It produces weapons systems using Russian and Indian technology.BrahMos, a word combining Brahmaputra and Moscow, is a short-range supersonic missile, which has been in use by the Indian Navy since 2005. The missile has a range of 180 miles and can carry a conventional warhead of up to 660 pounds. ZHUKOVSKY /Moscow region/, August 27 /TASS/. The test trials of an air-launched variant of the BrahMos cruise missile are due to begin in March 2016, Sudhir Kumar Mishra, director-general of the BrahMos Aerospace Company, told TASS at the MAKS-2015 Air Show. “We have modified a Su-30MKI fighter jet for the installation of a BrahMos cruise missile. The launching pad, which is currently undergoing qualification tests, has also been modified,” Mishra said. According to the company’s director-general, the qualification tests are to be over by December 2015. The launching pad and the missiles will then undergo flight tests on the Su-30MKI jet. A dummy missile will be launched in February. A technological demonstrator of the cruise missile with integrated sensors for measuring flight and technical characteristics will be launched in March 2016, Mishra clarified. He said the program had been fulfilled by 90%. Meanwhile, Russian-Indian BrahMos Aerospace has received an order for delivery of two regimental sets of BrahMos cruise missiles for Indian ground troops, Sudhir Kumar Mishra went on to say. We have received an order for delivery of two regimental sets of BrahMos cruise missiles for the Indian ground forces, Mishra told TASS at the MAKS-2015 Air Show. He added that other branches of Indian Armed Forces were planning to commission BrahMos cruise missiles in the next two months. Mishra said that the Indian Armed Forces had already commissioned the missiles for five of its squadrons and that more than ten Indian warships had been equipped or were being equipped with adapted modifications of BrahMos missiles. Mishra also noted that government organizations in Russia and India had invested about $3 billion in a joint venture whose cost had risen to $7 billion by now. The first launch of the BrahMos supersonic cruise missile from a Sukhoi Su-30MKI fighter will be carried out in early 2016, head of Russian-Indian BrahMos Aerospace enterprise Sudhir Mishra told RIA Novosti Tuesday.Speaking at the International Aviation and Space Salon MAKS air show outside Moscow, Mishra told RIA Novosti that first flights with a launcher went well and expected the fighter’s first flight with an operational missile to take place by the end of this year. “After this, a test launch of a mock missile will be carried out, and then final testing with a regular missile from a plane. We hope that this will take place in the beginning of 2016,” Mishra said. The BrahMos chief executive said the supersonic missile’s integration with the Su-30MKI (NATO reporting name Flanker-H) multirole fighter would supply India with a long-range weapon without endangering the aircraft. 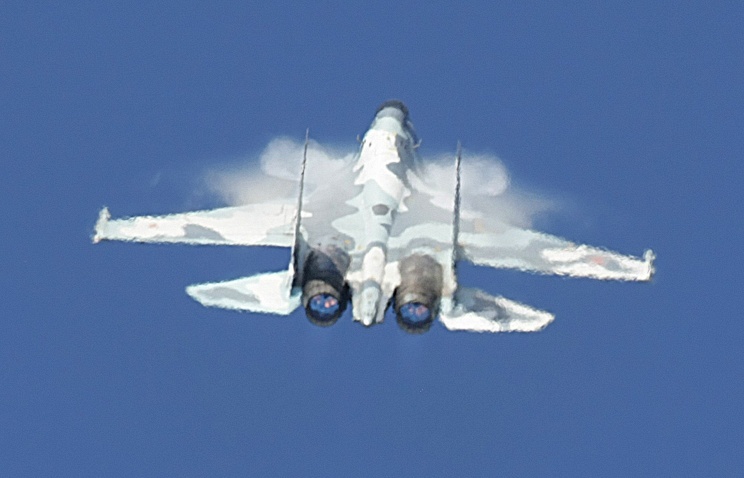 “After all, the Su-30 can fly with aerial refueling a distance of about 3,000 kilometers [over 1,800 miles], and the BrahMos’ long range allows to be launched from a safe distance,” Mishra stressed. The missile’s flight range is 180 miles. The estimated $425-million supersonic missiles capable of flying at supersonic speeds of up to Mach 3 (over 2,200 mph) are expected to be fitted in three Talwar-class frigates and three Delhi-class destroyers, all built in collaboration with Russia.